No time to cook? No problem! Make weeknight cooking easy with more than 100 foolproof recipes that cover quickie breakfasts, lunches, dinners, desserts, and even impressive feasts for guests — all in 30 minutes or less. Created with intuitive graphics that are easy to follow, The No Time to Cook! 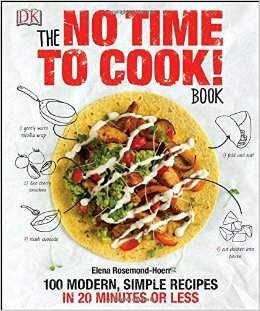 Book will transform your weeknight cooking and make getting dinner on the table quick, easy, and stress-free. Really! These recipes are presented simply and easily. The No Time to Cook! Book includes illustrations, flow charts, and pie charts that make recipes easier to understand. Special sections such as "10 Fun Things to Do with a Chicken" and "The Wheel of Dressings" outline easy recipes with the humor that's so necessary at the end of a busy day, and a quick reference section is perfect for the new cook in a time crunch. Take the stress out of dinner with The No Time to Cook! Book. Fresh from the Turn Over A New Page Boutique at DK Canada! A North Carolinian born and bred, Elena is a writer, photographer, and author of the award-winning food blog, biscuitsandsuch.com. Elena lives on the coast with her husband and dog, baking pies, gardening, and celebrating the rich food heritage of the American South. A definite hit in the kitchen! I made three recipes and loved them all. First I made Beef Stroganoff. I loved it, and the hubby thought it was just okay. So maybe I won't make it all the time, but once in a while. 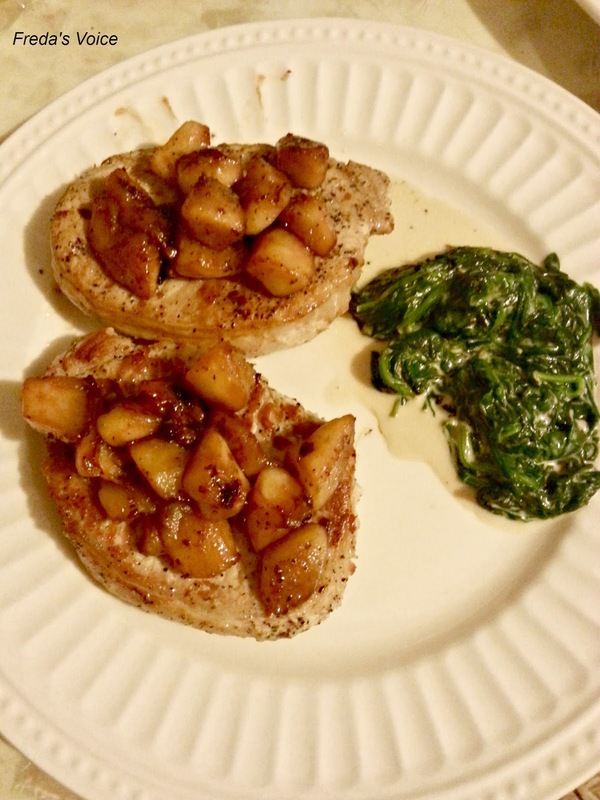 Then I made Pork Chops with Apple and Creamed Spinach. This dish was a huge hit! 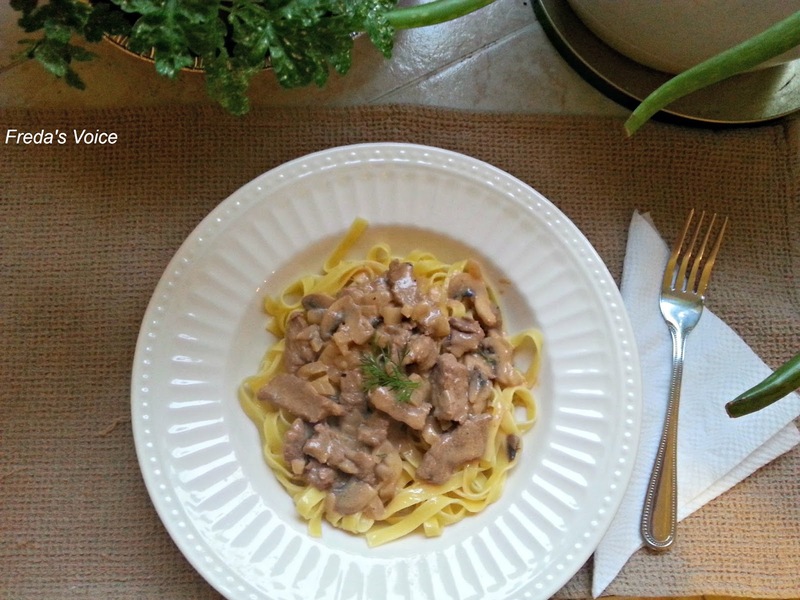 My whole family loved this one, and I will definitely be making it often. The spinach was better than I expected it to me, so flavorful and delicious! 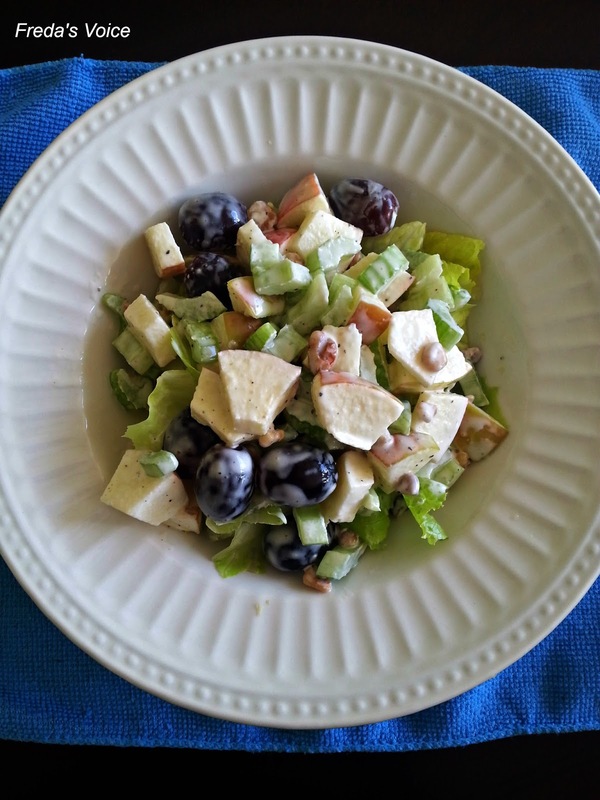 Lastly I made a Waldorf salad. I'd heard of it before and always wanted to try it. Now I have. I loved this salad and can see why it is such a famous dish. It's crisp and refreshing! I urge you to try it sometime! I can't wait to try some more recipes from this one. They are so easy to do, and usually need few ingredients to make. Great for when you want a decent meal, but are in a rush to eat. **No compensation was received for posting. Compensation will be earned if purchases are made from the links within. A copy was provided to facilitate a review. Opinions and photos of food are owned by Freda's Voice. Thanks for sharing. Always on the lookout for fast, delicious meals.